Many thanks to Connie Thompson and Elisabeth Agro at the Philadelphia Museum of Art for including my work in a special gift shop associated with the “Craft Spoken Here” exhibit, on view from May 5–September 3rd, 2012. Here are the pieces I made specifically for the Museum. “Covetously.” Embroidery and appliqué on fabric. 2012. In a private collection. 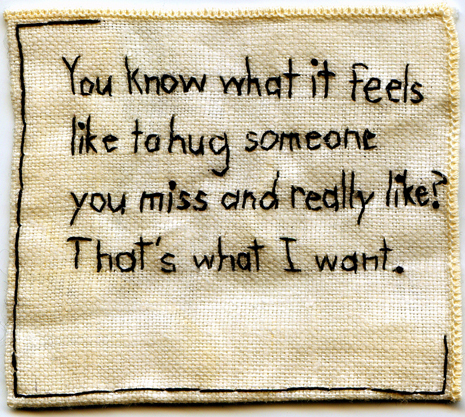 “What I Want.” Embroidery on fabric. 2012. 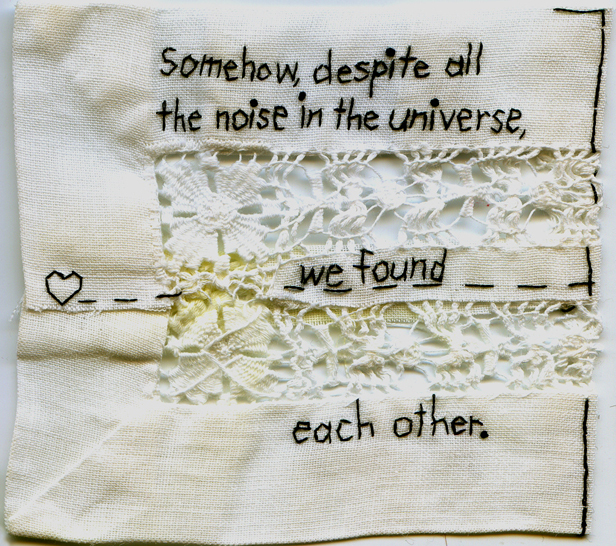 “Somehow.” Embroidery on fabric with lace. 2012. In a private collection. 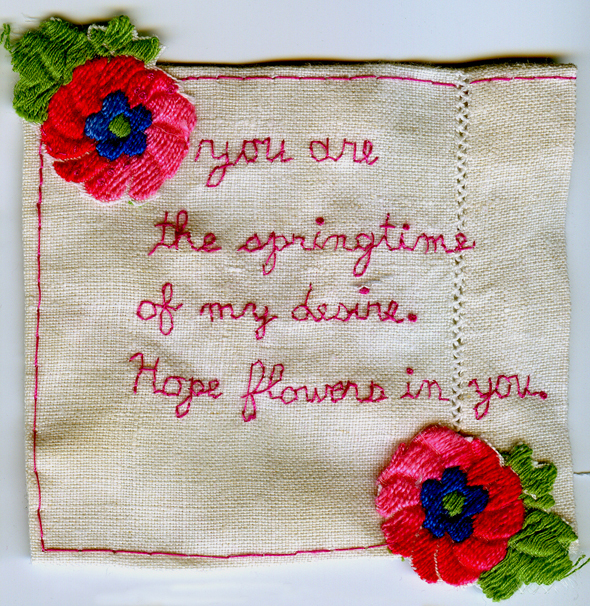 “My Springtime.” Embroidery and appliqué. 2012. 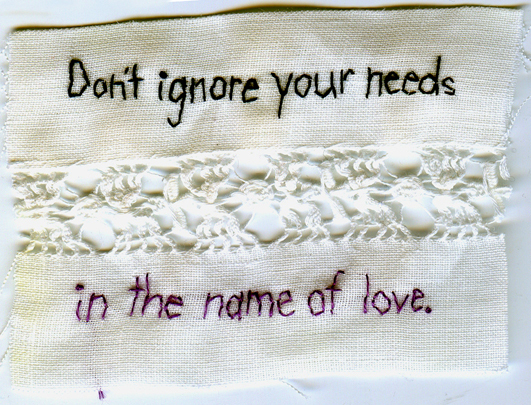 “Your Needs.” Embroidery on fabric. 2012. 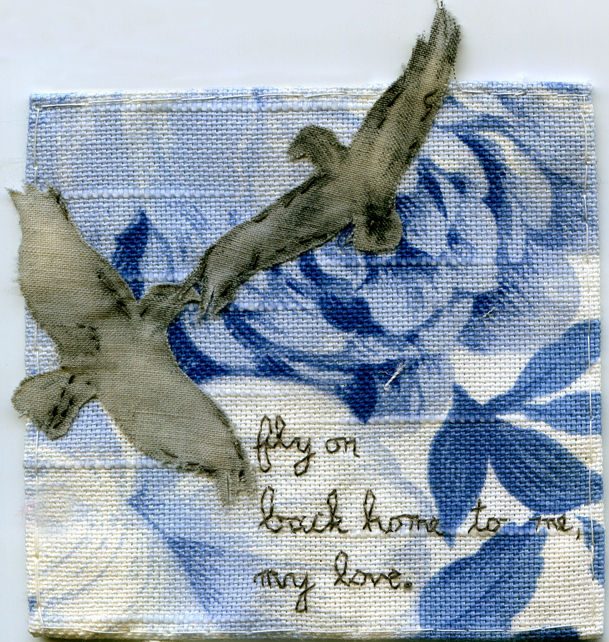 “Fly on Back Home to me.” Embroidery, watercolor and appliqué. 2012. 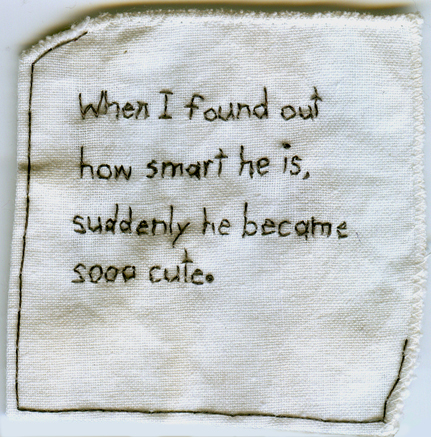 “Sooo cute.” Embroidery on fabric. 2012. In a private collection. 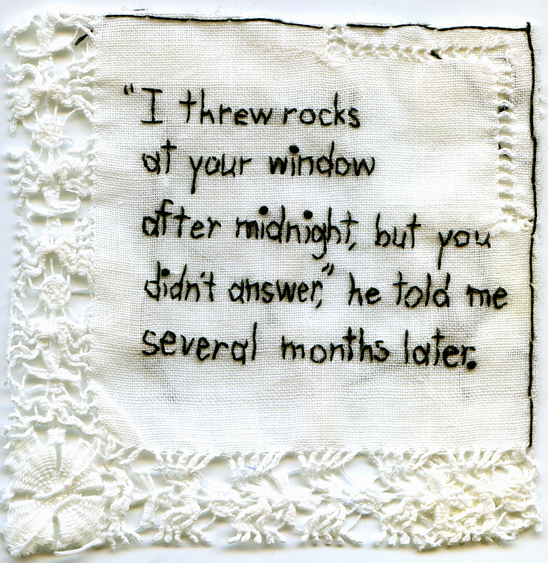 “I Threw Rocks.” Embroidery on lace fabric. 2012. In a private collection. 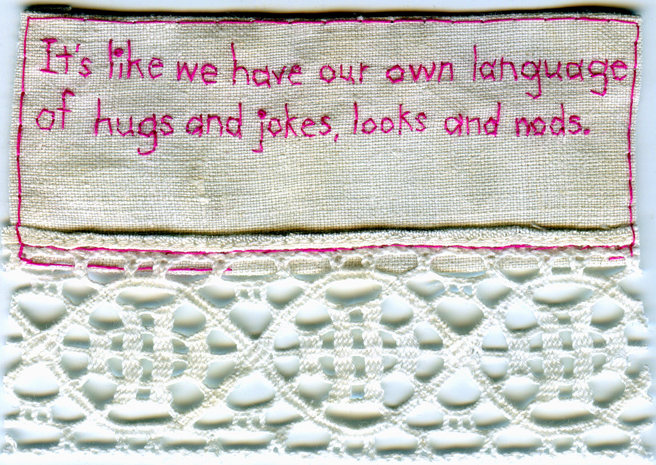 “Own Language. Embroidery on fabric with lace appliqué. 2012. 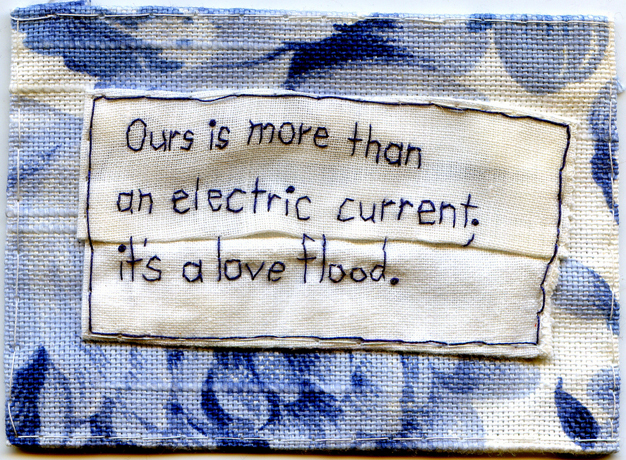 “Love Flood.” Embroidery with appliqué. 2012. In a private collection. 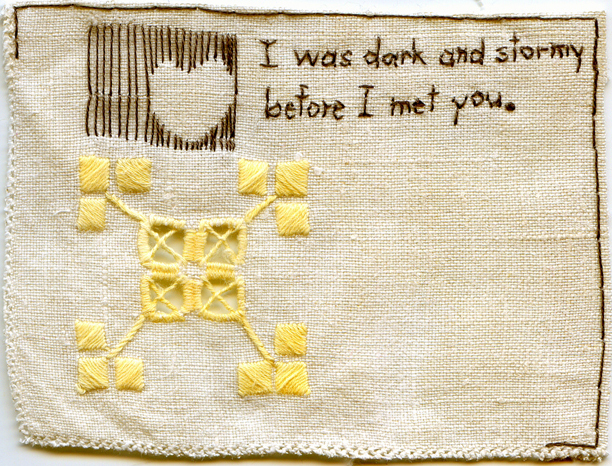 “Dark and Stormy.” Embroidery on fabric. 2012. 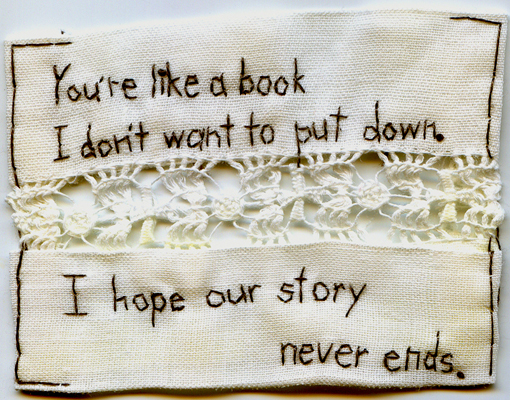 “Our Story.” Embroidery on fabric. 2012.